Cambridgeshire has more than 250 registered reading groups. We have approximately 350 titles designated as reading group stock. Sets vary from 4 to 25 copies comprising standard print hardback and paperback but other formats are available including audio, large print, e-audio and e-book. For speed and efficiency of processing and distribution, physical sets are held centrally at our distribution centre. 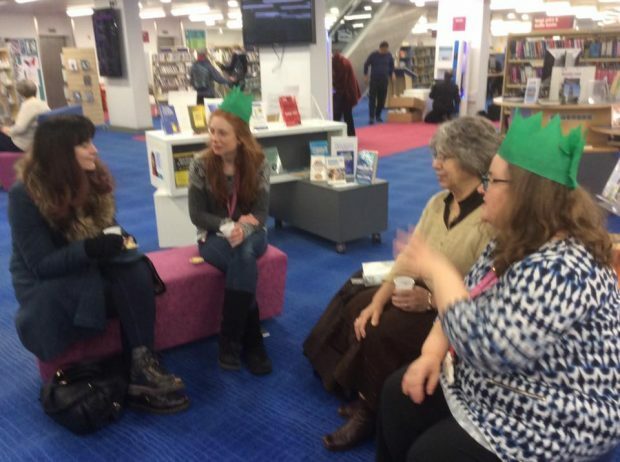 In August 2016 I responded to a survey sent to the UNITYUK community from Lesley Levett, (Library Support Officer for Lancashire Libraries) who was looking into the possibility of charging for a reading group service. Lesley shared the survey results; of the 38 responding authorities only 10 were charging. At the time Cambridgeshire was also considering the implementation of an annual fee for registered reading groups, so I was interested to find out what other authorities were doing. In May 2017 we implemented an annual reading group fee of £30. The annual fee provides up to 12 free item requests per month. We currently charge a £1 reservation fee, linked to borrower category rather than stock category. Groups benefit from a longer loan period of 6 weeks. Items are renewable, but loans are still subject to our standard overdue charges. Groups are not restricted to designated reading group stock, but we do ask that them not to request newly released titles or items that have several reservations. Before 2018 we did not have a budget for purchasing reading group stock. For some years our reading group titles were made up of quick pick titles that had completed their circulation rota. Our quick pick titles were copies of hardback and paperback adult fiction charts, titles from the heat seeker chart* as well as adult non-fiction paperback chart titles (*subscriber content from the Bookseller). We also added titles to the collection from donated stock and by relocating copies from branch libraries, but doing this presented problems. We found condition of stock was an issue as well as the staff time required to process donations, develop knowledge of suitable titles and maintain a spreadsheet of copy numbers and sets in progress. We no longer fund a quick pick selection and we’ve now opted for supplier selection but with a proportion of the budget allocated to project work and patron driven selection, managed by the stock team. Without any source of ‘repurposed’ stock and no experience of selecting titles for reading groups except as a coordinator of a village reading group I asked the LIS-PUB-LIB community for information on the management of reading group stock. I asked if other library authorities held dedicated stock for reading groups and what their selection criteria was. I was also interested in how other authorities managed reading group requests for items that already have reservations. Most people who came back to me held designated reading group stock. Several reported that they used comparable sources of stock to Cambridgeshire’s quick pick process. We will evaluate the impact of the changes by analysing issue figures and by seeking feedback from groups. 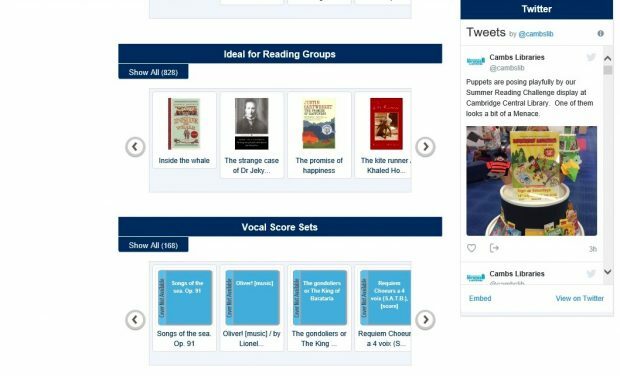 Possibilities for the future include dedicated reading group e-audio and e-book stock, adding sets of junior and young adult titles, providing sets to coordinate with local literary events and author visits, and developing online reading groups. Keep up to date with activities in Cambridgeshire libraries by following them on twitter, facebook, or looking at their website.